Purpose of Form : For any alien eligible to apply for suspension of deportation or special rule cancellation of removal under the Nicaraguan Adjustment and Central American Relief Act (NACARA). Number of Pages : Instructions: 10; Form: 8. Edition Date : 07/30/07. Previous editions accepted. You are a spouse, child or unmarried son or daughter of one of the above described nationals. AND if you meet the specific criteria outlined in Parts 1 and 2 of this form. All immediate family members who file their applications in a single package are eligible for the family filing fee of $570. A $80 per person fee for biometrics may be required. $165 single fee will be charged by the court whenever applications are filed by two or more applicants in the same proceedings. 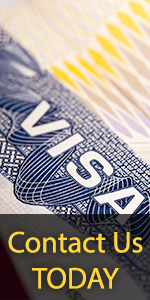 This fee is not required if USCIS refers the application to the Immigration Court. Checks should be made payable to Department of Homeland Security or U.S. Citizenship and Immigration Services . If you live in AK, AZ, CA, GU, HI, ID, IL, IN, IA, KS, KY, MI, MN, MO, MT, NE, NV, ND, OR, OH, SD, WA, WI, mail your application to the California Service Center. Otherwise, mail your application to the Vermont Service Center.